1899 Hoffenheim have added another Brazilian. On Monday die Kraichgauer announced that they had signed 20-year-old Brazilian defender Lucas Ribeiro from Salvador based EC Vitória for €3 million and a 20% sell-on clause. Lucas Ribeiro becomes the 15th Brazilian in the history of the club — no other nation has exported more players to Hoffenheim. 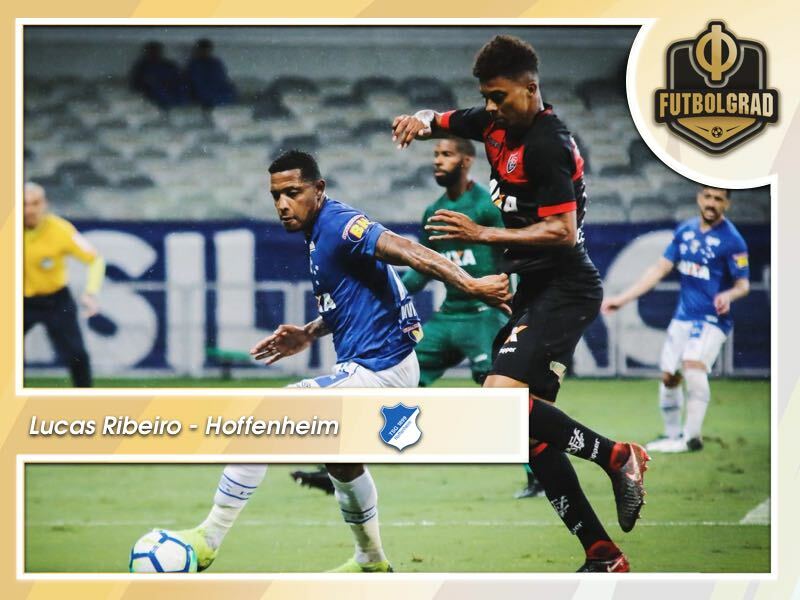 Like it has been the case with many Brazilians Hoffenheim have signed in the last few years Lucas Ribeiro is a bit of a project. The Futbolgrad Network caught up with Brazilian journalist Elton Serra, who works for the Salvador based television station TVE, to speak about the defender. “He is a centre back with a good pass, smart, but still very young,” Serra told the Futbolgrad Network. “He isn’t ready to play in the Bundesliga yet but is a wunderkind,” Serra added. Serra’s biggest concern has been Ribeiro’s physical strength. “I do not think he has the physical strength to play in the Bundesliga yet. He is a player who debuted in Vitoria’s team early,” Serra pointed out. The reason for Ribeiro’s early debut has been the Vitória’s relegations from the Brazilian Série A to the Série B. “Vítoria was a team relegated to Série B, and Lucas Ribeiro played because more experienced players were very poor,” Serra said about Ribeiro’s situation last season. Indeed before Vitória’s relegation to the Série B Lucas Ribeiro played 16 games in the Brazilian top flight. In those 16 games, Lucas Ribeiro did very well completing 74.2% of his on average 58.78 actions. The defender also completed 89.9% of his on average 40.34 passes per game and won 45.3% of his on average 11.81 duels. Other key stats that stood out are interceptions, 4.99 on average per 90 minutes, and winning 40% of his on average 3.35 aerial duels per 90 minutes. Finally, he committed just 0.91 fouls per game. Furthermore, his heatmap throughout that period highlighted that he mostly defends on the left and that he has a very good opening pass. Nonetheless, Serra points out that he is a player “who still needs to mature. We know that Hoffenheim likes Brazilian players, but Ribeiro’s case is special. The club saw a good opportunity to bid a young defender, who may be useful in the future,” Serra told the Futbolgrad Network. Furthermore, Serra pointed out that he believes that Hoffenheim might be loaning out the player to guarantee playing time for the talented defender. It is a strategy the club has employed in the past, and that has worked well with the likes of Joelinton. The Brazilian striker was loaned out to Vienna based club Rapid before achieving his Bundesliga breakthrough this season. “We don’t just think about today when we design our squad,” sporting director Alexander Rosen told the media earlier today. The 190cm tall defender is an interesting young centre-back “who possesses the sort of attributes we like to develop,” Rosen concluded. Lucas Ribeiro will conclude the U-20 South America championship with Brazil and then join Hoffenheim in February. Once in Hoffenheim, he will be able to work with head coach Julian Nagelsmann, who will depart the club in July to join RB Leipzig. The club without a doubt will reassess the situation during next summer’s transfer window. Hoffenheim is such a good team to “discover” brazilians youngsters ready to prosper in Europe. Luiz Gustavo, Firmino and, now, Joelinton are interesting players that came from unknown teams in Brazil. In relation to this acquisition, I might state that also David Luiz was part of EC Bahia setup when he first arrived to Europe. At that time, Bahia was on 3rd division of the country.